Since I don't yet have everything I need to build up my power supply (more on this later! ), I decided that I'd test the modules on my Dotcom system. 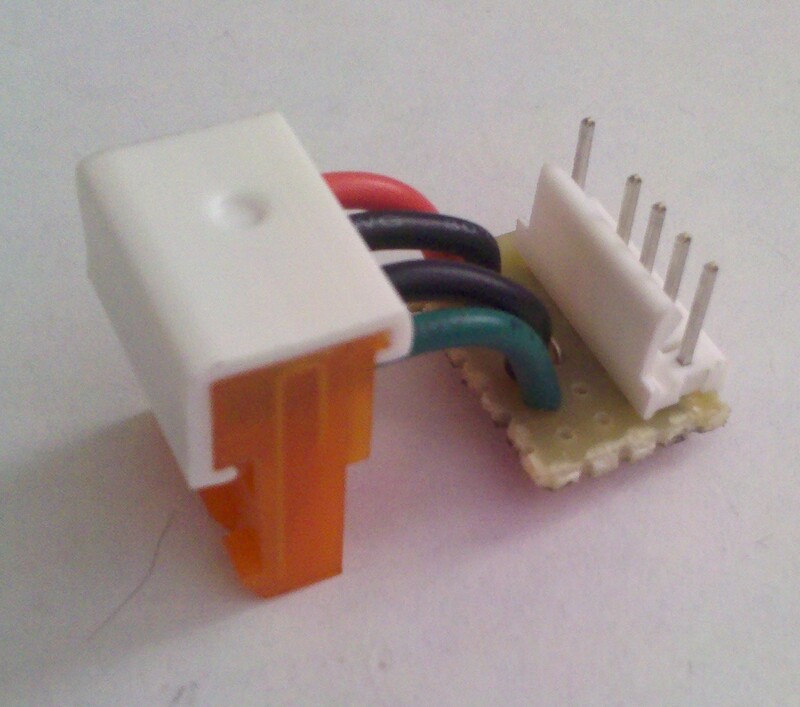 So, I've started to make a few Dotcom to MOTM power adapters on little pieces of veroboard. Not too pretty, but pretty simple! I'm going to put some Plasti-Dip or liquid electrical tape over the board, for insulation. I won't be running the SynthaSystem from this power configuration, but it will be enough for testing. (Plus, these will come in handy for some CGS and other builds I'm doing, which I'll be putting into my Dotcom cabinets.) I'm tempted, though, to get a bunch of little PCBs done up for this.